Announcing New Publication: Treatment Guidelines, 2nd ed. You can find this publication for free download on our Tribal Healing to Wellness Court Publication Series webpage, as well as on our Home.TLPI.org website. 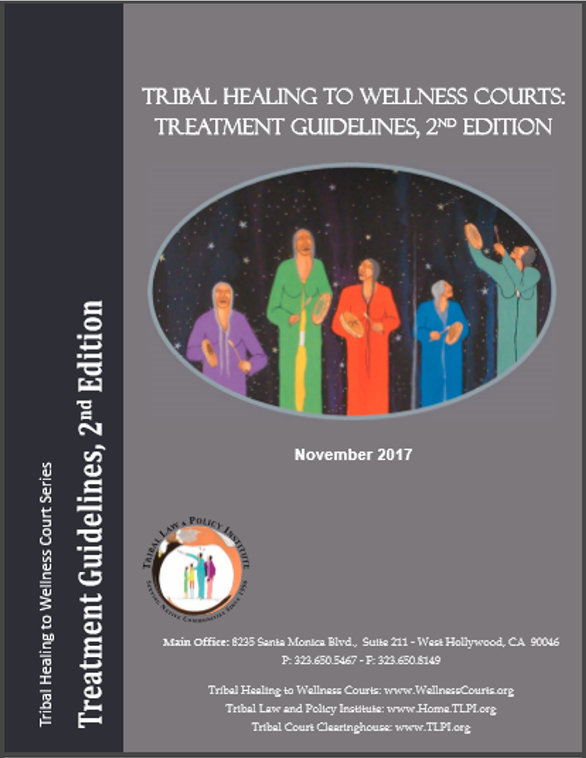 The Tribal Healing to Wellness Court Publication Series is a free resource available to the field, documenting best practices and the latest in practice-based knowledge.